Miss Sadie & Chloe at the Store. 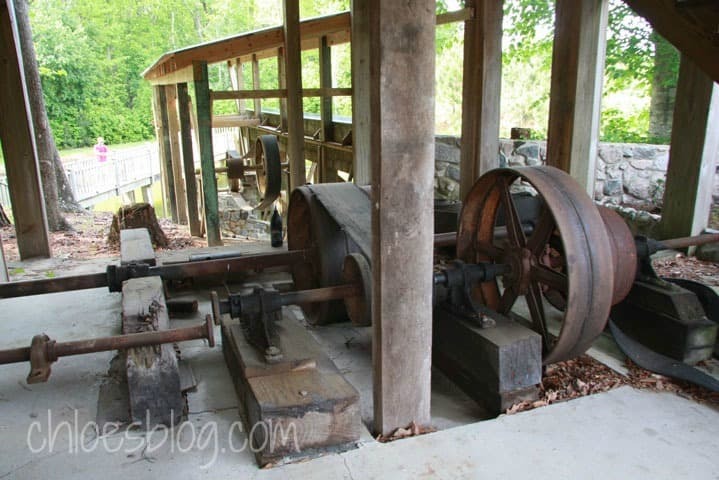 In the 1940’s prior to when she and her husband, Columbus, bought it, it had been a water-powered sawmill. 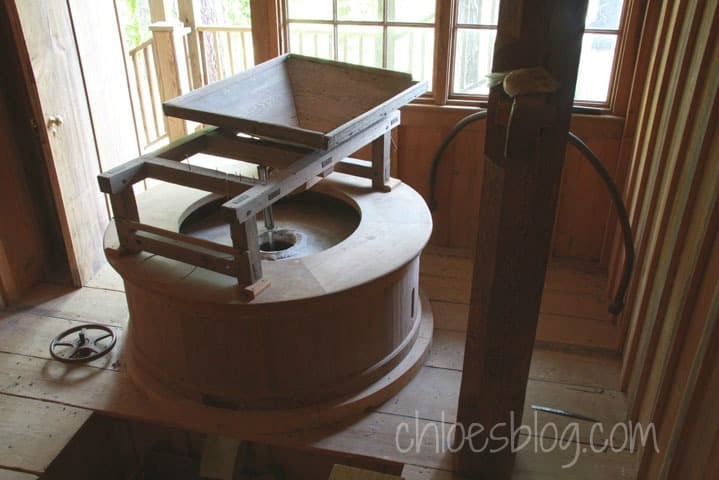 It was converted to a grist mill, the stones to grind the corn were shipped over from England. Sometime later in the night, the dam was blown up. 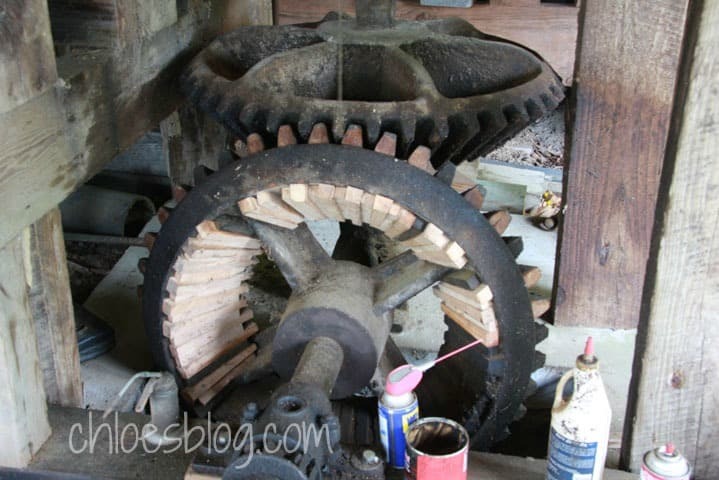 After that there was a long pulley attached to a tractor that powered the mill. It was a fascinating place where you could get the best ground corn meal ever. 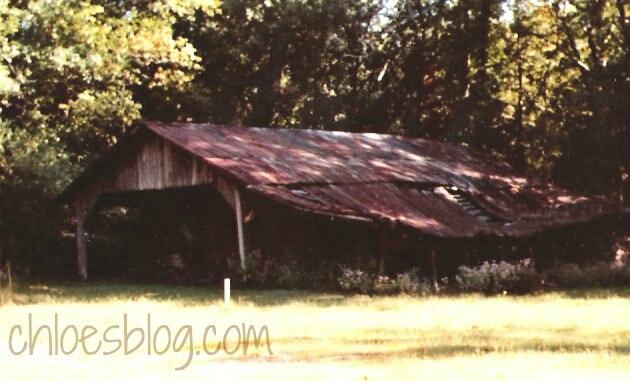 The Old Mill in disrepair – sadly it is gone now. I rode my bicycle there every day. Sometimes I played in the creek behind the mill, but more often I just talked to Miss Sadie. Often nephews Barney or Monk went with me – at times we rode a mule or drove an old pickup truck before we were legal. 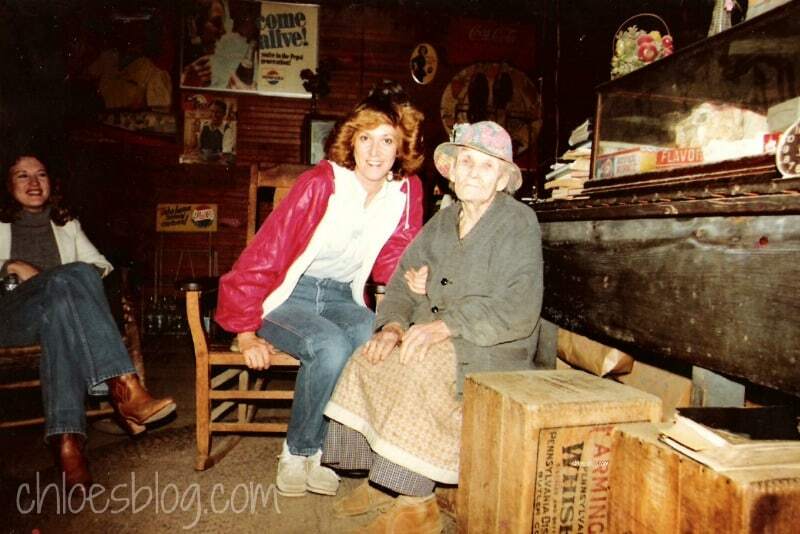 Miss Sadie also had a small country store and sold things like penny candy and small Coca Cola in a bottle – she kept her drinks in one of those box-type coolers. She lived in the store too. And she had a big gun…folks tried to rob her several times; but they were foiled. Other folks thought she was odd, but not to me. She had one light bulb and no running water. 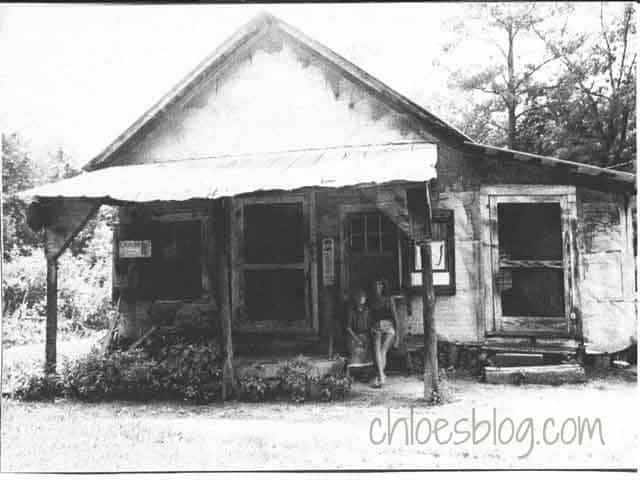 She cooked on top of a pot belly stove, she wore her dead husband’s shoes. Fine with me. 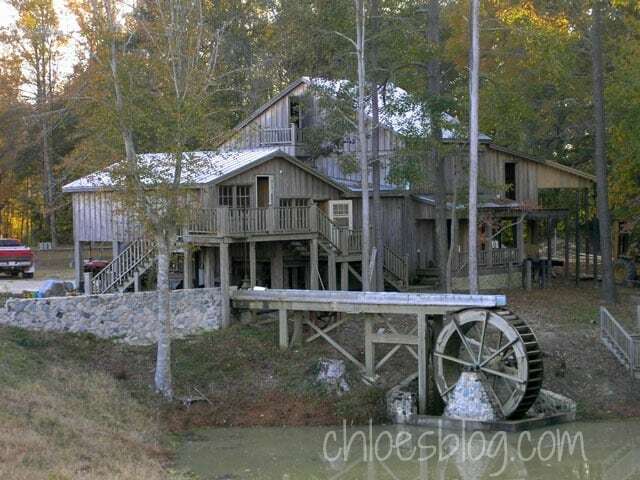 Ben Roberson bought the mill and moved it to his farm. He and his wife Mary resurrected a great mill. It has all the parts, but it is different – still wonderful. The mill had such fascinating parts. P.S. thanks to all the Chloe’s Blog readers who told me that I can’t spell “Dam.” Too funny.